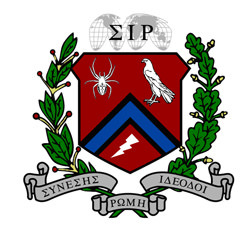 Sigma Iota Rho was established in 1987 to recognize outstanding achievement in the field of international studies. Membership in Sigma Iota Rho is intended not only to enhance the credentials of its members, but also to encourage a lifelong support for education, service, and occupational activities that create a better understanding of the world we live in. Members are encouraged to “think globally, act locally” in their scholastic and professional activities, as well as their personal pursuits. The Beta Eta chapter at Manhattan College was founded in 1999.